Observation - Robin - UK and Ireland. 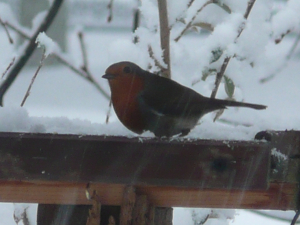 Description: Resident Robin.Defends feed aggresively from other birds and friendly enough to nearly feed out of hand. Resident Robin.Defends feed aggresively from other birds and friendly enough to nearly feed out of hand.